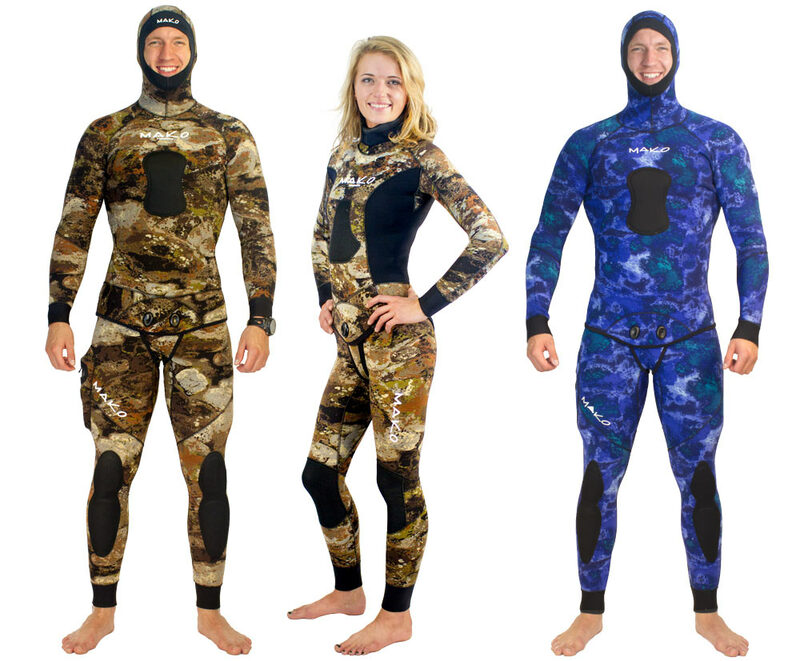 #3: And, because I sell direct to divers, instead of through dive shops, my high quality MAKO/Yamamoto freediving wetsuits actually cost less than non-Yamamoto wetsuits made with lower quality Chinese neoprene. Did you know that Yamamoto neoprene is made from Limestone? That’s right. Unlike other neoprene that is made from petroleum, Yamamoto neoprene is made from eco friendly Limestone. Why is this important? How is this possible? It’s simple. Both Yamamoto Limestone neoprene and petroleum based neoprene are made up of independent cells which basically act as air bubbles packed together to provide insulation. However, because Yamamoto uses Limestone, instead of petroleum, the limestone neoprene has over 30% more air bubbles than the oil based neoprene. This means the Yamamoto suits are 30% warmer. This increase in warmth means you can wear a thinner suit and still stay warmer and more comfortable in the water for a lot longer. In addition to being 30% warmer, Yamamoto suits have 30% more stretch than oil-based suits. How is this possible? Again, it’s because there are 30% more air bubbles in the Yamamoto Limestone Neoprene. This increase in tiny air pockets makes the Limestone neoprene a lot less dense, which means it has a lot more stretch than oil-based neoprene suits which have a lot less air pockets (higher density). This increase in stretch means you will have a much better fitting suit. It will be much more ergonomically form fitting with less bulk. And, equally important, the increase in stretch also translates into longer breath holds and longer bottom times as well as a major increase in overall enjoyment when diving. Without getting too technical, there are a few other important differences between Yamamoto Limestone Neoprene and the oil based Chinese neoprene that I would like to point out. I mentioned above, the Limestone neoprene is comprised of tiny air bubbles. Well that is not exactly accurate. The bubbles are actually individual cells filled with Nitrogen Gas (not air) which provide amazing heat retention and an increase in efficiency. It is important to note that the Yamamoto neoprene has a much higher nitrogen cell content than competing materials. And, this high cell ratio found in the Limestone based, Yamamoto neoprene, also results in lower water absorption and increased durability over petroleum based suits. At the risk of boring you with further details about why MAKO freediving wetsuits are made using Yamamoto material, I will cut this short. But before I do, I want to say how fortunate I am to be working with the Yamamoto Corporation of Japan. I have had the opportunity to meet Tommy Yamamoto and his representatives and I am honored to have become friends with them. Wherever I go, I often see guys getting in or coming out of the water wearing my MAKO/Yamamoto wetsuits and I always ask them, “Hey man, how do you like that suit?”. Thanks to Tommy and the wonderful people at the Yamamoto Corp. of Japan as well as my guys at the MAKO shop taking great care of our customers, the responses I get to that question are nothing short of awesome.